"There are few people I would recommend with the highest regard as I would Dr. Marzola. She is a genius in interpreting data and then extremely capable of transforming that data into practical information that could be used to guide interventions to raise student achievement. She does all her work with integrity and you can trust that it is research-based as well as adaptable for classroom use. In addition, she performs everything with a sense of humor and an ability to translate the most difficult information into language that all people can access and understand. A five-star educator." "Dr. Eileen Marzola has a huge breadth of knowledge in the area of learning disabilities and academic intervention. Her work influenced the scope of academic intervention practices in the New York City Public Schools and she was there at the inception of this initiative. 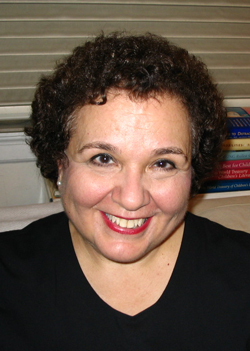 She is a go-to person in New York City for information on methodological practices. Additionally, her repertoire of professional development topics is broad and her ability to deliver these in an engaging and intelligent manner is extremely strong. She is a sought-after presenter, consultant and tutor, delivering high quality work in these arenas. The latter skill makes her a person who can deliver research-based ideas in ways that are practical and match the challenges of real life -- something that few presenters can do. I would recommend her very highly as she would be a valued asset on your team." "Eileen is your consummate professional educator and teacher trainer. Her recommendations are influential because she has current research to support her ideas. As she maintains her teaching skills by continuing to work with children, she presents both current theory and current application. Eileen is also consistent, reliable and trustworthy, but even more, she has a sense of humor." "You banged it out of the park again this evening. Thank you so much for your presentation. It was so valuable: informative, practical, thought provoking. Again, participants commented about the impact of what you had taught them. You are a jewel." "Eileen, the presentation last night was truly masterful. I felt as though I had been given a gift. "My very intelligent daughter was having great difficulty learning the most fundamental part of learning to read: her ABC’s. It was suggested by her kindergarten teacher that there might be a problem and then by the head of her lower school that we should go see “The Great Dr. Eileen Marzola.” After 5 years of hard work, today she is an “A” student with a tremendous love of learning. I always say that her learning differences are amongst her greatest gifts. With the help of Dr. Marzola, she learned to overcome obstacles, work hard, realize she was smart, and be proud of herself. We are blessed to have had Dr. Marzola in our lives!" "I cannot thank Dr. Marzola enough for all of the help she gave me. I began seeing Dr. Marzola in kindergarten and stayed with her through 4th grade. At times it was hard, we met twice a week which meant either getting up really early or giving up an after school activity but it was all worth it. Today I am an “A” student with no tutors, every time we go to a parent teacher conference my parents cry and then call Dr. Marzola and thank her." "Fortunately, I was assigned to one of my personal heroes, a woman I haven’t seen in over a decade but who perhaps shaped my education more then anyone: Dr. Eileen Marzola. With many years of teaching special education to her credit, she refused to give up on children like me in a time when teaching phonics was almost an act of heresy, and teachers were strongly encouraged to dispose of phonics books. Over those precious hours of my education I mastered the difference between ‘d’ and ‘b,’ how to spell ‘systr’ and ‘muthr’ and slowly but surely, on a deeper note, how to take my skewed, frustrated reality from seemingly Cyrillic-script-inspired handwriting and spelling into the grand world of phonics, reading, speech, and most importantly, into the womb of perhaps one of our greatest expressive mothers: writing. By fifth grade, I could type, read, and write at a normal or exceptional level, which was miraculous considering I couldn’t really read until the second grade. I remember the topic of my first book well: late-bloomers. Today. . . I find myself writing as a means of letting my soul sing." A compete reference list of Dr. Marzola's education, clients, conference presentations, lectures, workshops, teaching experience, publications, professional development, honors, awards, professional licenses and professional affiliations is available on her CV for download.